It was in 1902 and not far from the end of his life that Theodor Herzl published the utopian novel “Old New Land”. The long History of the Jewish people has been inevitably intercultural and planetary. 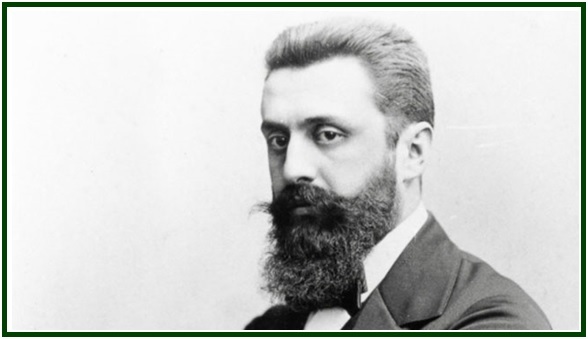 Both characteristics are shared by Herzl’s book, which anticipates with stunning detail the creation of modern Israel. The novel is the draft of a project for the future and remains in many aspects far above the reality of Israel. An unknown amount of time may be necessary for the country to achieve the level of moral excellence described in the book. Much has been done already. We will now examine seven aspects of the book “Old New Land” that show it as both classic and up-to-date. This is a truly visionary essay, thinly presented as a tale. It teaches lessons of decisive importance for the 21st century in Israel and elsewhere. Herzl inscribes his novel as part of the Utopian literature. 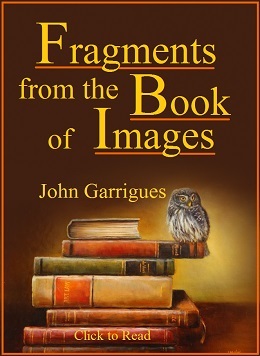 He discusses on its pages some of the most significant descriptions of an ideal country. He knew that “dreams regarding the future” actually occur on a creative realm of reality, and their historical effects cannot be easily denied. For ages the idea of such a duty has been an axiom in every nation. Millions of individuals have ceaselessly followed it. Remarkable Eastern philosophers lived by it, from Confucius to Lao-tzu and Emperor Asoka. In the West, Plato, Cicero, Seneca, Marcus Aurelius and Francis Hutcheson are a few examples, not to mention, in the late Middle Ages, the Jewish statesman and philosopher Don Isaac Abravanel. As to theosophical literature, the same moral duty is mentioned in various passages of “The Mahatma Letters” and the writings of Helena Blavatsky. There is a utopian aspect in the modern esoteric movement, since the primary goal of theosophists is to build a nucleus of universal brotherhood. Any sense of deep isolation is an illusion. Everything is interconnected in the universe and no country or culture can ever be an exception to the rule. In Old New Land, Jews and Arabs are friends and all religions live in harmony. This reality can be seen in today’s Israel already. Many Arab Israelis love and respect the country and different religions co-exist in it. By now, however, facts on the ground are still the seeds and seedlings of a more enlightened future. The Platonic Ethics is easy to find in the Jewish Utopia and provides us with a ground-breaking point of view from which to look at present-day facts. One can learn more than one lesson by comparing Herzl’s ideal to the constant news of corruption and criminal actions taking place in high-level religious and political institutions, in Israel and other countries. Both kinds of human beings exist, however. And since humans are complex and contradictory, every good-willing collective project must share the same characteristics. Naiveté goes hand in hand with fraud in making people believe that some special individual or institution is perfect, that he or it makes no mistakes and does not need to learn from failures. Movements whose goals are noble attract people of the purest motives and ideals. They also have a number of selfish individuals, however, and these often strive to obtain positions of leadership. If associations of noble goals are to remain loyal to their ideals and methods, there must be a Pedagogy that fights self-delusion, and organizational structures that stimulate the noble functions of the soul, turning the soil arid for egocentrism. The lower principles of consciousness include selfishness and other forms of ignorance. They must be accepted as part of human reality, and transformed by wisdom, in any collective movement dedicated to the regeneration of mankind. Individuals should be taught about the challenges of self-knowledge and self-transformation. The presence of visible selfishness is much better than its disguised varieties. A realistic acceptance of mistakes leads to their correction. In “Old New Land”, a skeptical visitor only believes in the legitimacy of the mutual-help philosophy inspiring the new country after he sees the action of unfortunate boycotters inside the community. The existence of a realistic attitude regarding imperfections in individuals and communities is a warranty seal regarding collective efforts towards a noble ideal. Man and women of good will must not be excessively afraid of challenging “tamas” or blind routine - as long as they want to search for Truth. But this is the short term process. While short term bliss is passing, the real bliss is long-term. This is a true lesson in theosophy. It shows the difference between the lower self or personality and the higher self or spiritual soul which never dies. Into the extent that the student of philosophy has a glimpse of the eternal, he perceives that divine timelessness was never separated from him, nor from his present moment. As the pilgrim is situated “here” in space, he can inhabit distant places, in spirit. While living in the “now”, he dwells in several past and future times. Regardless of appearances, he is never alone: mutual help is a universal law, and Gilgul, the cycle of reincarnation, corresponds to a rule of nature. Movements based on contemplative views of the world must have their earthly life sustained by the practice of solidarity. Herzl’s view is universal and Platonic. 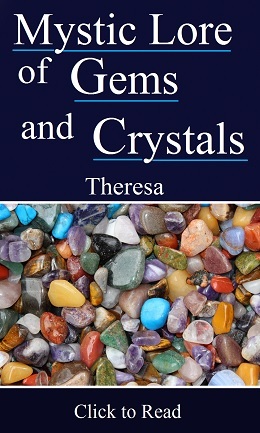 These are guiding lights for the theosophical movement, and also for every country, association or community whose aims are peace and justice, and wisdom; and prosperity. “Old New Land”, Theodor Herzl, Markus Wiener Publishers, Princeton, 296 pp. See the third chapter of Book III. Herzl mentions the famous book “Looking Backward”, by Edward Bellamy. He discusses Fourier. He refers to “Icaria”, by Étienne Cabet; to “Freiland”, by Jewish economist Theodor Hertzka; to the experience of Rahaline in 1831 and the co-operative pioneers of Rochdale, whose efforts started in 1844. “Old New Land”, Theodor Herzl, Markus Wiener Publishers, p. 156. “Old New Land”, Theodor Herzl, Markus Wiener Publishers, p. 296. “Old New Land”, pp. 66-67. “Old New Land”, p. 152. “Old New Land”, p. 153. “The Republic”, by Plato, in “The Dialogues of Plato”, Encyclopaedia Britannica, Inc., Translated by Benjamin Jowett, copyright 1952, folio , p. 306. “Old New Land”, Theodor Herzl, Markus Wiener Publishers, pp. 76-77. “Old New Land”, p. 112. “Old New Land”, p. 256. “The Mahatma Letters”, TUP edition, Pasadena, California, 494 pp., Letter I, p. 3. “Old New Land”, p. 41. “Tanakh, the Jewish Bible”, The Jewish Publication Society, Philadelphia-Jerusalem, p. 1442. “Tanakh, The Jewish Bible”, The Jewish Publication Society, Philadelphia-Jerusalem, p. 1441. “Old New Land”, Theodor Herzl, pp. 261-262. “Old New Land”, Theodor Herzl, Markus Wiener Publishers, Princeton, 296 pp., see pp. 284-285. See in our associated websites the article “Israel as a Utopia”, by Carlos Cardoso Aveline.